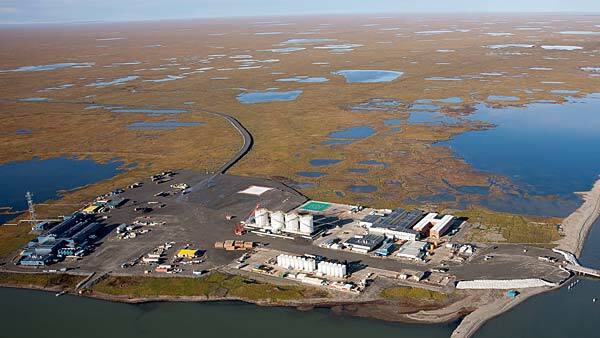 ExxonMobil reports it has started production at its Point Thomson project, the first company-operated project on Alaska’s North Slope. Central pad facilities are designed to initially produce about 5,000 barrels per day of condensate and 100 million standard cubic feet per day of recycled gas. The recycled gas is re-injected for future recovery. At full rate production, the facility is designed to produce up to 10,000 barrels per day of natural gas condensate and 200 million cubic feet of recycled gas. It is anticipated to reach that level when the west pad well is online in a few months. The Point Thomson reservoir holds an estimated 8 trillion cubic feet of natural gas and associated condensate – a high-quality hydrocarbon similar to kerosene or diesel. The resource represents 25% of the known gas on the North Slope. Potential future development will depend on a range of factors such as business considerations, investment climate, and the fiscal and regulatory environment. “The successful startup of Point Thomson demonstrates ExxonMobil’s project management expertise and highlights its ability to execute complex projects safely and responsibly in challenging, remote environments such as the North Slope in Alaska,” says Neil W. Duffin, president of ExxonMobil Development Company. ExxonMobil and the working-interest owners have invested approximately $4 billion in the development of Point Thomson production facilities through 2015. About 100 Alaskan companies have contributed to the success of the project, and thousands of people worked onsite and around the state during peak construction activity. Point Thomson is located on state acreage along the Beaufort Sea, 60 miles east of Prudhoe Bay and 60 miles west of the village of Kaktovik.